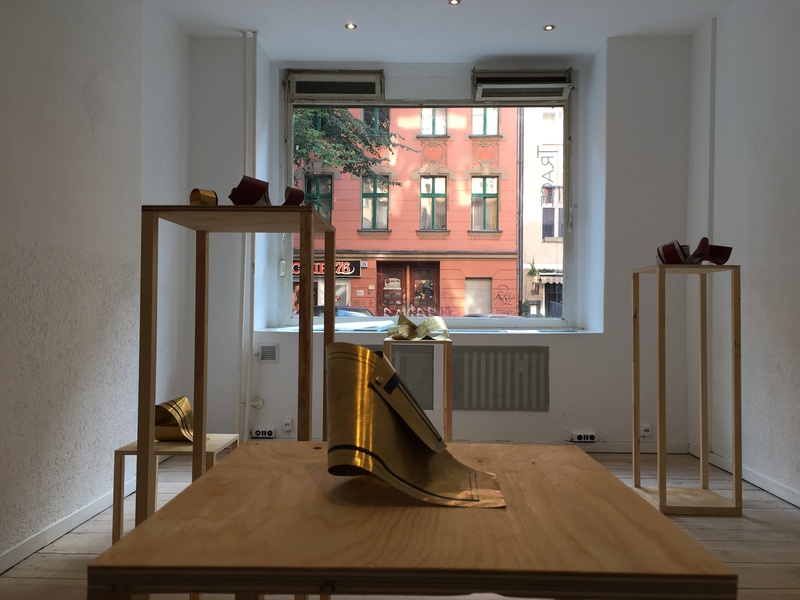 On Friday, following a studio visit, we rode to Neukölln with curator Brunno Silva for the opening of his most recent show at TRACE Projects. This date had been marked in our calendar for weeks and was the reason for our trip in the first place. Henrique Neves’s ‘Relieving Patterns’ is the fourth and final instalment in Brunno’s exhibition series Unimagined Surroundings exploring the intersection between art and architecture. We arrived for a special preview of the show and had the chance to walk around the gallery space, absorbing the installation and spending time with each of the delicate works. 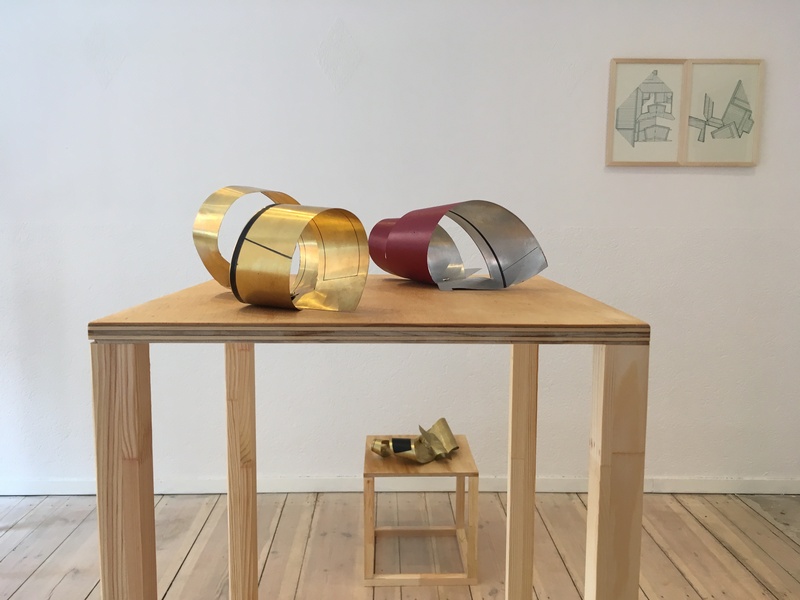 Without consulting the press release Neves’s curling brass sculptures immediately expressed a combination of fragility and resilience. Imperceptible scratch marks added texture to the works and echoes of pencil marks resounded on the paper thin coils. Brass fasteners acted as joints, assisting the sheets in becoming collars or ripples. Neves, who is based in Lisbon, had recently discovered his grandfather’s archive and, amongst the architectural drawings it contained, he found a plan for his own primary school. The artist then took the time to reminisce about his school years and, using his great-grandmother – who was an excellent seamstress – as another source of inspiration, decided to render the architectural plans more fluid, much like his own memories. 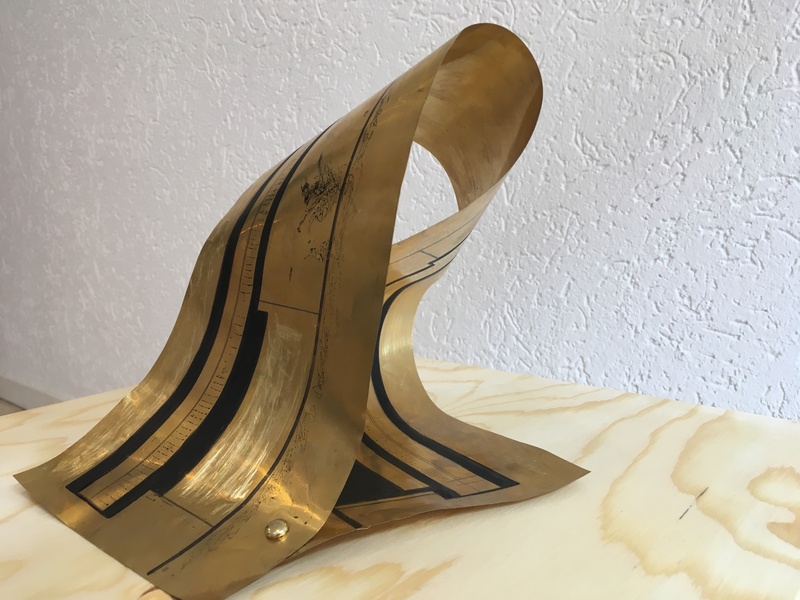 Following my conversation with Brunno about the show, many of the elements I had noticed earlier made even greater sense – the brass fasteners evoking school papers, the mock model shapes typically made by seamstresses and the docile nature of the metal assuming features more akin to fabric. 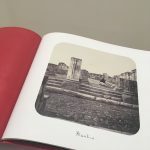 The installation itself, by presenting the works on simple wooden frames, at different heights, invited play as viewers crouched and moved around, much like children working on projects in the comfort of their classroom. 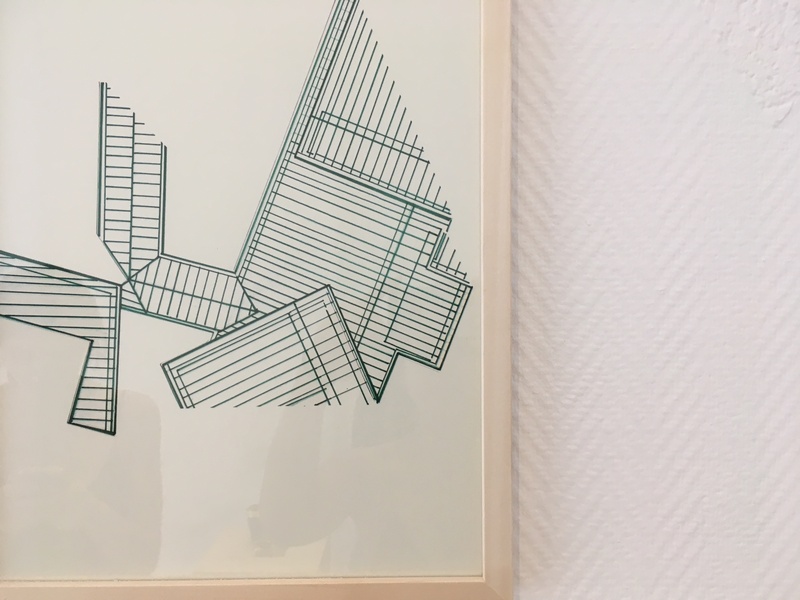 TRACE’s own walls were the perfect fit for Neves’s print as a wonderfully subtle dialogue between the complementay intersecting green and white geometric lines ensued. The small gallery space enhanced the intimacy of the works which also weave in a generational narrative. 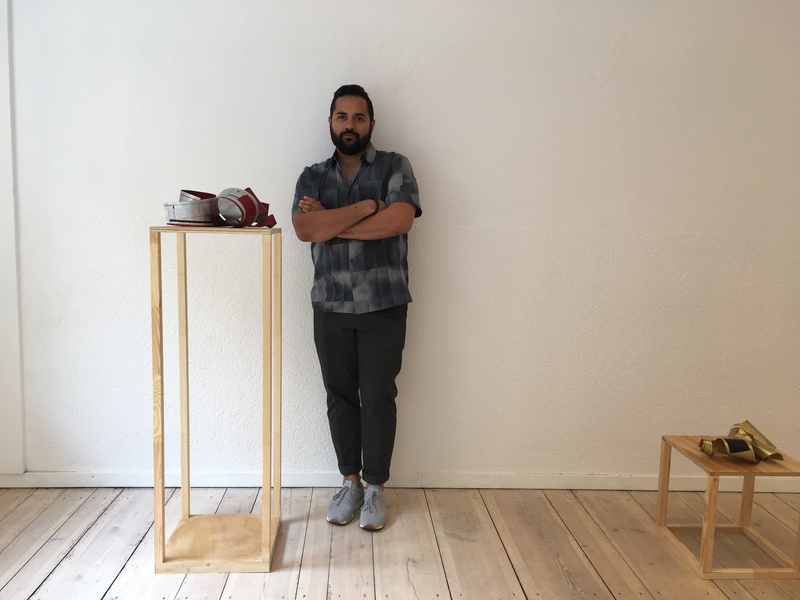 Whereas Neves’s grandfather was an architect and his great-grandmother a seamstress thus taking on roles socially associated with their respective genders, today Neves is the artist whilst his sister was an architect. This reversal of roles can be seen as an optimistic shift in our societal norms and proof that greater equality is to come. Whilst the personal narrative is not made explicit within the sculptures, the artists’s desire to create malleability out of a rigid architectural plan and a resistant sheet of metal is akin to the fluidity with which the cultural transition has occurred. In capturing his childhood and incorporating family history, Neves has created sculptures that are both engaging and quietly assertive as their imperfect texture is emblematic of our notion of memory. 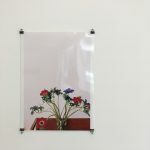 For those who aren’t based in Berlin, Brunno will be curating a show in St. Leonards called Memorial Device opening on August 31 and staying open only that weekend which will inter alia feature works by Neves. 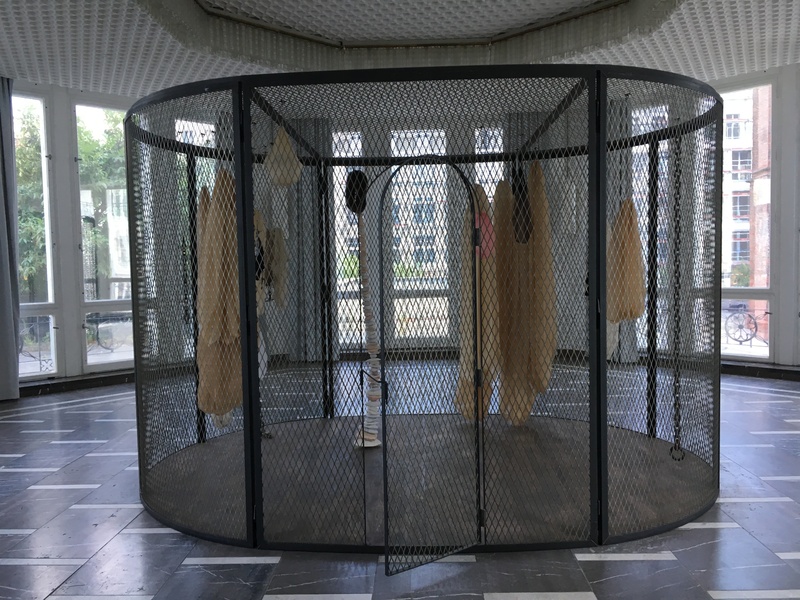 Next on our list was the Schinkel Pavillon, currently hosting The Empty House, a solo show dedicated to Louise Bourgeois. Initially lost and walking into a construction site, we eventually found the Pavillon. As we walked up the dark circular staircase we reached the landing which was flooded with light. The immediate change in setting became increasingly appropriate as we progressed through the show. The first room contained a solitary metal cage, its door ever so slightly open creating both an invitation to explore and at the same time denying us that possibility. Within in it, Bourgeois hung a series of drooping sacks of textile and gauze, ghosts of lifeless flesh – unnerving presences. 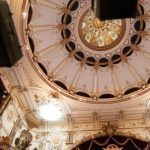 The element that struck me most was the Pavillon’s ceiling and chandelier as its reticulated and polished surface matched that of the more barren cage. We descended back down the stairs and entered a second landing. Here precarious metal tubes and wires above us recalled Bourgeois’s Maman/Spider, without us knowing what other works hid within the Pavillon. We entered what appeared to be an eerie room belonging to a natural history museum. 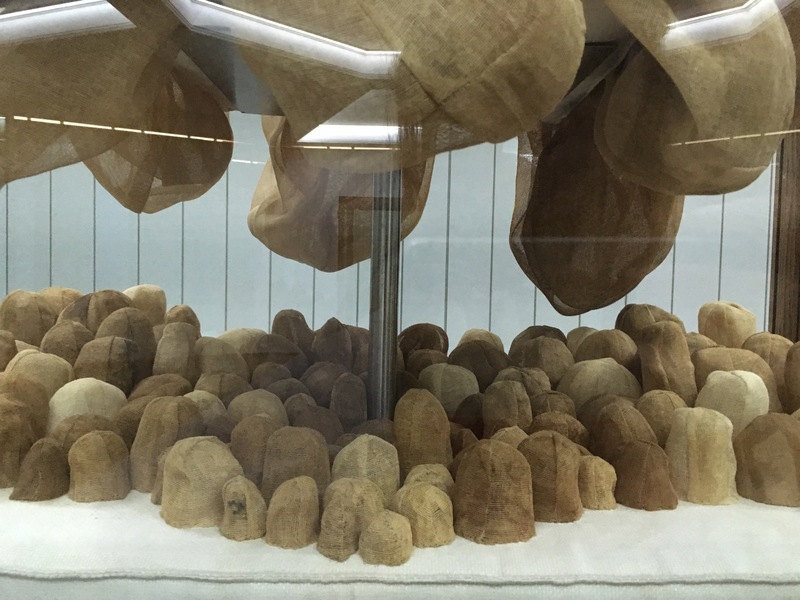 Wooden framed glass cases enclosed a series of filled and hollowed sacks, once again recalling the female body and its decay. 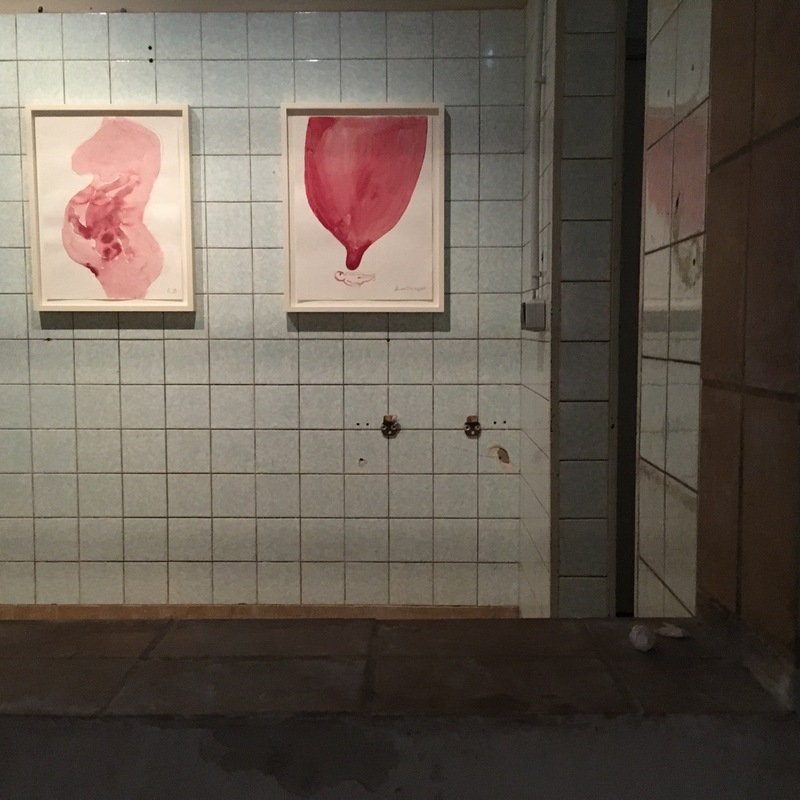 Associations with infertility are easily drawn – Bourgeois in displaying these membranes turns us into voyeurs intrigued by wombs, scrota and barren breasts unable to lactate. The increasing sense of discomfort is made all the more interesting when noticing the frescoed walls surrounding this wunderkammer. Progressing through a narrow door we find ourselves in the innermost section of the Institution and the most intimate of Bourgeois’s works, as if moving through the building led us to her core. Light blue tiles, chipped and an unfinished ceiling characterise the basement. We almost expect the floor to be flooded, the air is pregnant with droplets of humidity. Here a series of red gouaches are on display illustrating the cycle of procreation. Some are hidden within smaller anti-chambers as we venture deep within. Gasping at the disquieting beauty of this curation, we find four vitrines produced by Bourgeois from 2005 to 2010, shortly before her death. Umbilical Cord, the figurine recalling the Venere di Milo, pregnant, the pink gauze revealing a delicate baby is facing Spider – its body made of a brown sack with metal legs holding its deflated shape together. Couple is also in the same room, two figures embracing beneath a constricting gauze. I remembered the work being used in Almodovar’s The Skin I Live In which made it all the more unsettling. 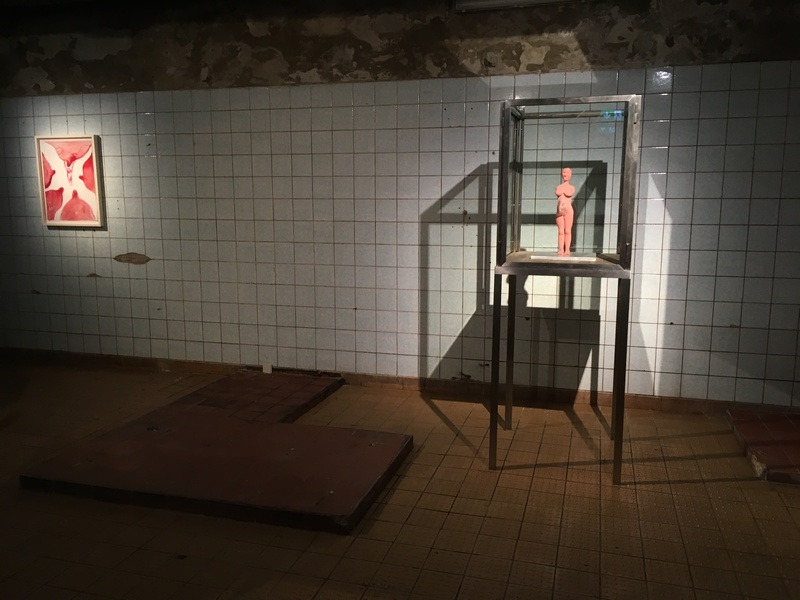 Bourgeois’s works are necessarily disturbingly intimate but this particular installation was by far the best way to present them as visitors are drawn deeper within the structure and within her darker works. I fear that any future show will not be able to capture the essence of Bourgeois, her ability to permeate our core by using gauze and turning it into decaying flesh and empty genitalia – tapping into one of our innermost psychological fears – being barren. We left the darkness of The Empty House’s final room and emerged once again into the scorching hear, paying a visit to Walther König in his bookshop to decompress. One of the spaces I was curious to see was Tillmans’s Between Bridges. The unassuming gallery is located on a quiet street, dotted primarily with cosmetic shops, antique stores and a mix of office and residential buildings so we didn’t quite know what to expect when we finally reached the blue framed door. 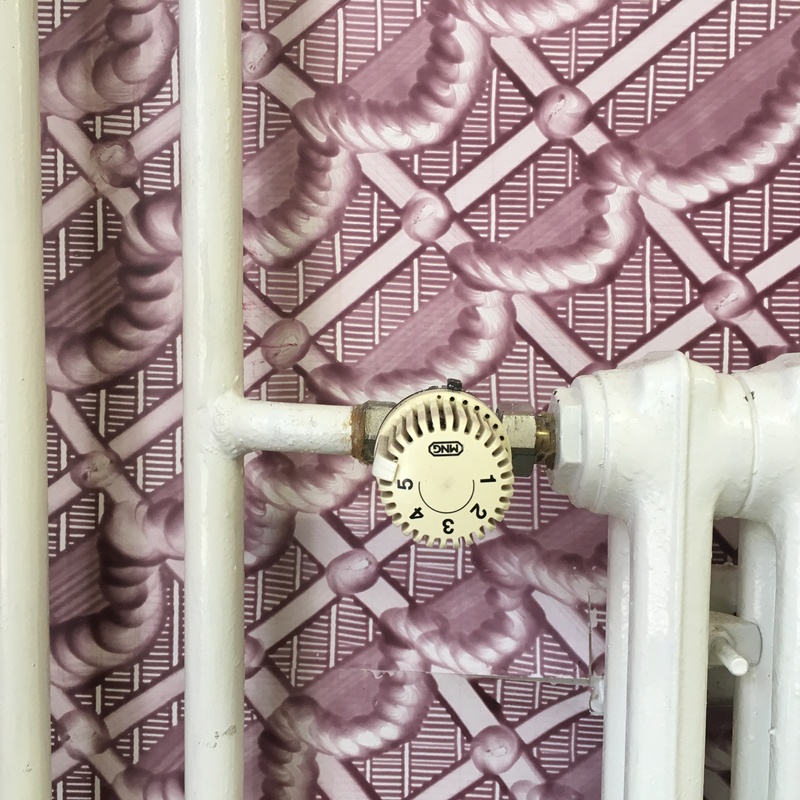 We are presented with two rooms, bare but for the intricate wallpaper that wraps them. 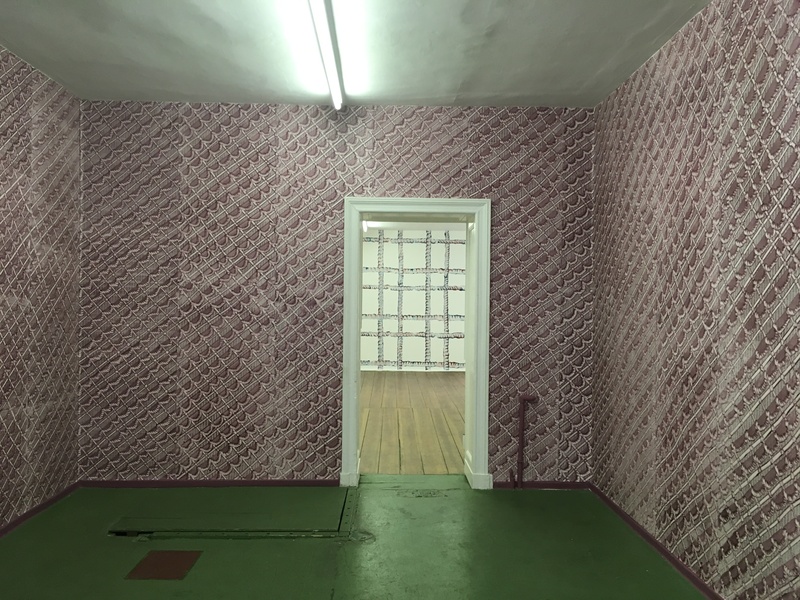 A solid green floor in the first room enhances the burnt pink of Festoons (2014) surrounding us, in the same way that the wooden tiles in the second room balance out the whiter tonalities of Square Dance (2016). Philip Wiegard’s ‘In the Name of Talent’ explores our current state of ‘cultural capitalism’ albeit in a less overt way. The baroque Hermhuter paste paper whose sense of depth and repetition causes the rooms to appear as if they were breathing, without fixed proportions, was chosen by the artist to delve into the history of labour production. The hand made past paper bad been historically popular with bookbinders but was soon rendered obsolete with the printing press and the onset of the Industrial Revolution. Wiegard retains the tactile nature of the paste paper, originally moistened and coated with paint and then patterned by means of a displacement technique which involved tools such as spatulas, and translates it into our current decade. 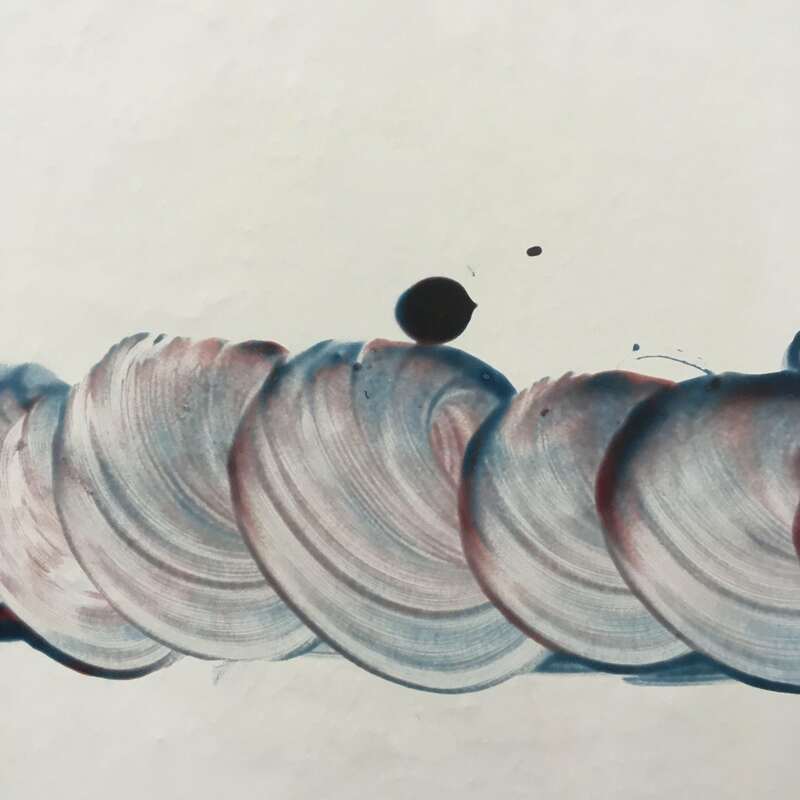 He exclusively works with primary school children, who paint the paper with their bare hands, imbuing it with bittersweetness as their act of play starts to reminisce the perennial repetition of an assembly line. The children, who remain unnamed, are employed by Wiegard and work for an hourly wage yet they cannot claim to be co-authors of the work as that credit is denied. In setting up these ‘performative workshops’ therefore Wiegard also acknowledges the increasing pace at which young children seem to be pushed towards, and push themselves towards, adulthood as notions of work and play are increasingly blurred. As our working hours become far less defined, encroaching into our personal lives, tainting our childhood by turning painting into a labour intensive and blindly repetitive task is merely the next step. 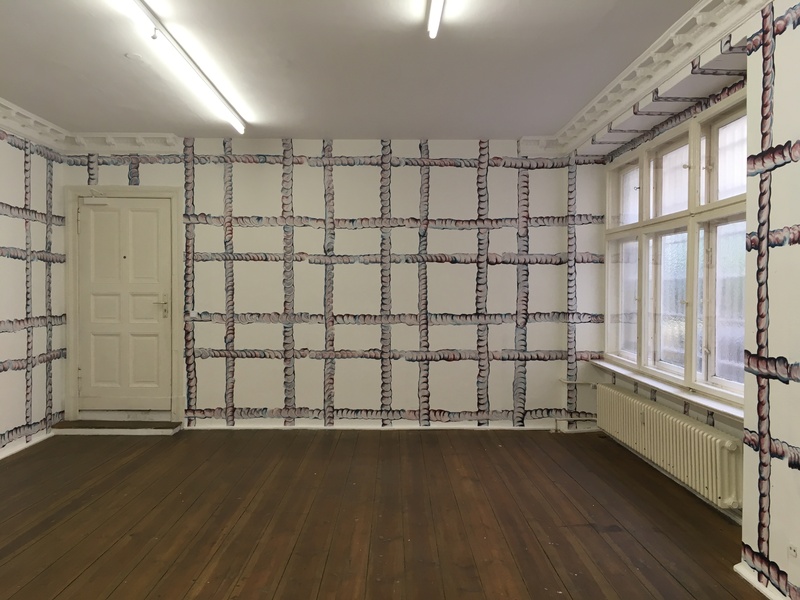 Whilst the wallpaper itself occasionally exhibits traces of the children’s hands, a few paint splatters indicating that the work is indeed unique and not industrially produced, as we consider Wiegard’s pieces the rooms instantly feel smaller, more constricting than before. The sense of tactility offered by the paper’s hybrid painting becomes both freeing in its isolated distinctive marks and haunting as we think of the children’s fingers running through it – working towards a life of work. 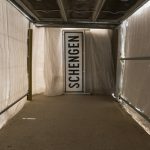 This entry was posted in Art Openings, Art Stuff Berlin, EXHIBITIONS, My week in the art world and tagged Between Bridges, Brunno Silva, Henrique Neves, Louise Bourgeois, Philip Wiegard, Schinkel Pavillon, Trace Projects, Trace Projects Berlin, Wolfgang Tillmans. Bookmark the permalink.